A San Jose teacher says her students have been discriminating against her because of her religion, and her employer, the school district, isn't doing enough to stop it. 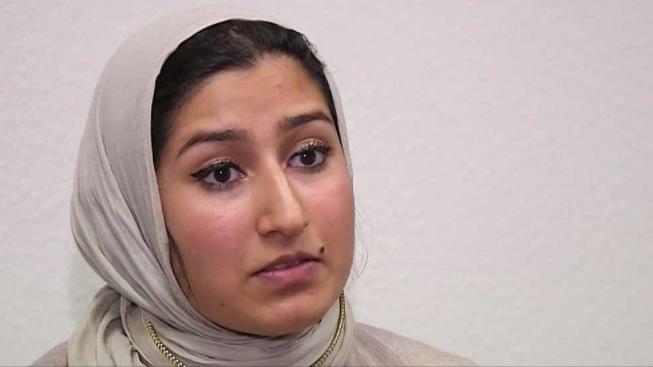 The teacher, who grew up in East San Jose, has filed a grievance with the Alum Rock Union Elementary School District, claiming she's been repeatedly harassed by Fischer Middle School students over the past seven months because she's Muslim. The teacher, who asked not to be identified for safety reasons, has worked at the school for five years. She said on Sept. 11, the door of her classroom was spray painted with slurs. "It was the only classroom that was targeted," she said. "Very hateful words associated with terrorism." The incident followed six others since April. She said students have called her names because she's Muslim and wears a head scarf. "I've been called a terrorist, working with ISIS, 'She's going to kill us all,'" the teacher said, describing the other discriminatory incidents. The Council on American-Islamic Relations has reached out to help her with her grievance. "It can be a great learning experience for everyone, on how we can educate folks to better understand the Muslim community," said Brittney Rezaei, a civil rights attorney. The school district responded with a statement, saying in part: "Today’s negative political climate at the national level continues to poison classrooms throughout our nation. We will never tolerate any behavior that makes either our students or team members feel marginalized." The teacher said several students were identified and later suspended. Another was moved to a different school. She hopes for more immediate action. "It was very traumatic to be in a place, in a safe place, where I work, and a place where I have a deep love for what I do," she said. A school district spokesman said he could not share what types of discipline the students received. "Today’s negative political climate at the national level continues to poison classrooms throughout our nation. "As difficult as these moments may be for our educators, they also present us with the opportunity to engage with our students and utilize these teachable moments to educate our classrooms on the importance of respecting diversity. "At the Alum Rock Union School District, we will never tolerate any behavior that makes either our students or team members feel marginalized. For that reason, we will always do everything in our power to protect the unity of our school communities."